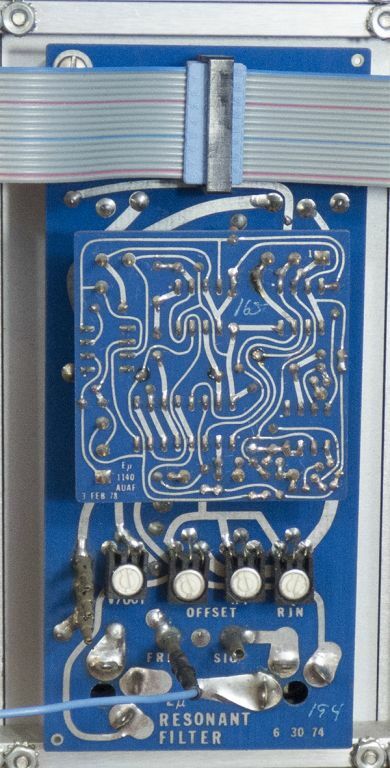 I've been thinking about designing normaling into my modules, from one module to another, connecting via some sort of pcb jumper. This seems better than having a fixed bus for just a few signals. Have others done this? What connectors do you use? There's all sorts of common jumper connectors, but I'm not sure what would be best once you get down to, say, 4 pins, each of which should be routable individually to other modules with, say, 4 pins or so. I did see one company (division 6, I think?) put some normals on the back using 3.5mm jacks, but that seems like not the right choice, if only for space reasons. Many makers use normalized jacks in positions that don't use the normalization. They do this because they buy a larger quantity of normalizing jacks to keep cost down and the number of different parts less. Doepfer used to do this. All jacks in their modules used to be normalized jacks, I am not sure since they switch jack types. This allows soldering to unused pads or legs and wiring behind the panel the normalizing you may want. it is not easy because of access to the jacks typically requires pulling all the modules out of the case. 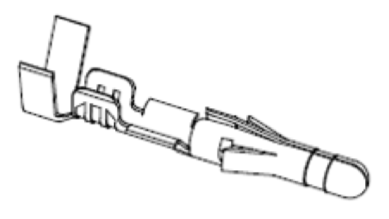 It is also semi-permanent in that connections are soldered unless some connectors are used (raising the cost). If you tend to patch a set of modules in a certain way a lot of the time, then doing this is worth it. I use the CV/Gate buss myself and it cuts down on cables enough to make it worth moving some modules to use it. i think the OP is looking for a good connector to provide access for the jacks on the back for newly designed modules. Or is it about retrofitting existing modules? If that is the case, any single-pin header would be the cheapest solution. 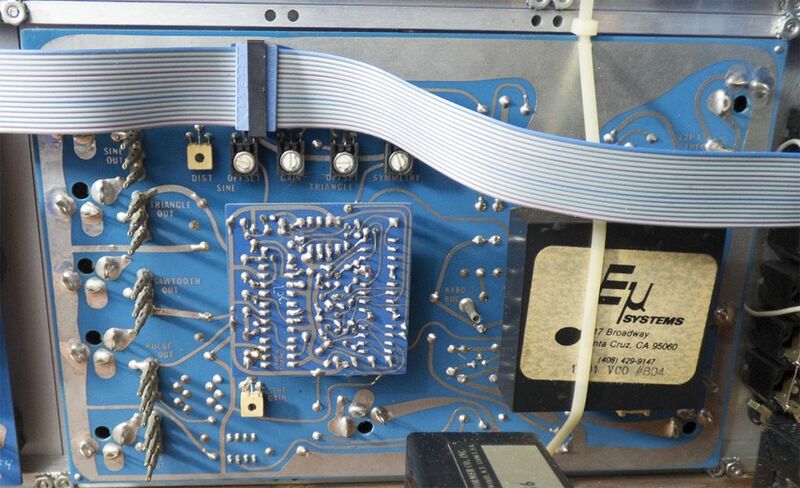 The sockets were cheap and easily inserted into holes on the PCB and the connectors could be made without soldering and just crimping wires into them. The ground was shared so only a single cable was needed. As James said, here's the E-Mu modular version answer. Have used gold plated crimp and insert pins and sockets intended for use with DB connectors as a smaller version of the E-mu approach with good results. I did it with Molex connectors and a mini buss connected to strips of Vero. Problem was I could never remember what I'd hooked up invisibly, so I'd be standing there scratching my head wondering why I could hear something - in the end I removed a lot of it. The CV off the keyboard has been the most useful, then EGs to VCAs and VCAs to output, but I've only got a pair of each. Many makers use normalized jacks in positions that don't use the normalization. ... Doepfer used to do this. All jacks in their modules used to be normalized jacks, I am not sure since they switch jack types. This allows soldering to unused pads or legs and wiring behind the panel the normalizing you may want. it is not easy because of access to the jacks typically requires pulling all the modules out of the case. It is also semi-permanent in that connections are soldered unless some connectors are used (raising the cost). If you tend to patch a set of modules in a certain way a lot of the time, then doing this is worth it. I use the CV/Gate buss myself and it cuts down on cables enough to make it worth moving some modules to use it. I've done exactly that with a couple of Doepfer modules. I placed a passive attenuator next to a VCO, and wired a variable-strength linear FM connection in. It only exists if I don't use the attenuator's output jack. If I use the output jack, the feature has no effect at all and I can use the attenuator in the usual way. The whole thing is invisible looking at the front panel. For me it is the standard voice architecture that I often go back to. The normalization allows you to break into it if you want to and really cuts the clutter when you don't. The key is to make it something obvious to you so you don't spend a hour sometime wondering why something screwy is going on with the patch only to remember that something is normalized into a control somewhere that you forgot. Thanks y'all. So it seems the general idea has been to use the type of crimp/pin sets meant for housings, but then to omit the housings. Yeah...that makes perfect sense and dunno why I didn't think of it.